For years children, youth, and even adults have loved singing along (at least on the choruses) to many One Way Street songs. 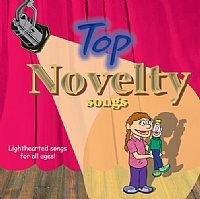 We have put together the favorite sing-along songs from all our previously recorded albums. The melodies are so catchy, you can't help singing, too. Soundtrack versions of each song are included.